Planning to buy a digital camera? There are so many digital cameras available in the market from various reputable manufacturers such as Sony, Nikon, HP, Kodak, Canon, Samsung and Panasonic. Each model offered by these manufacturers has its respective great features and unique functions. If you are seeking for some advices, perhaps the following points can assist you. 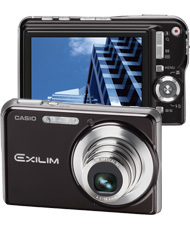 Get a camera which is user friendly and easy to operate. This is an essential factor that you need to consider. The graphical user interface, the flow of menu system, the short cut button, etc needs to be easy enough for you to take up. Speed does matter. You can miss out on your new born baby’s first smile because of the slow startup time of your digital camera. Before deciding which camera to buy, you can go to any retail outlet to test the demo units of the model that you are planning to buy. Make some shots and feel by yourself. Is the startup fast enough? Does it take long for the camera to get ready for the next shot? Compare with other model. The higher the megapixel doesn’t mean the better the camera in terms of clarity. Bigger megapixel allows the pictures to be printed in a larger format. Picture clarity is more related to the lenses and CMOS or CCD sensors used in the camera. These microchips and the glass optical are actually determining the picture quality. A lower megapixel photo can have a better quality compare to higher megapixel camera. There are some cameras which claim feature with high megapixel count by using “interpolation” technology. This means that the picture megapixel count is made bigger by the use of certain algorithms and not totally native to the camera hardware. The best way to determine photo quality is to look beyond the megapixel and see the real sharpness of the photo taken. Comparatively, Optical zoom is preferred as it depends on the actual glass lenses while digital zoom simply cuts into an image and enlarges it. As a result, the enlarged image is actually a grainier image. Having said that, most reputable cameras make use of both types of zoom to achieve excellent result. Hence, it is advisable to read the specification carefully and get a camera that has actual optical zoom. Generally, many low budget digital cameras will use CMOS imaging sensors and digital sensors. There are many camera memory card formats available. For instances, Sony uses Memory Stick or Pro or mini versions of memory stick, Fujifilm and Olympus use xD Picture, etc. If you have other devices that using memory card, you can consider to get a digital camera that use the same memory card format. Most consumer-type camera supports one type of memory card. Some people prefer larger Liquid Crystal Display (LCD) screen while some people like a smaller screen. It is an individual preference. However, you can check the screen whether the screen is performing well from various angles and under sunlight. Also do not forget, the LCD screen consumes a lot of battery power. Many people might not even bother the settings, e.g. ISO setting, white balance setting, etc as the settings can be taken care of automatically by the digital camera Anyway, understanding the setting is good in the long run as it can help you to take better and more quality photos. Find out more about the battery’s information. Are they proprietary? How long the batteries can last? Read out more about the information that can find in the internet. Find out more about the additional features about the digital camera that you are looking at. Some cameras come with anti-shake technology which allow you to take steadier photos with shaky hands. Other features inclusive of All Weather function, water proof and instant output capability.